Bethesda-Chevy Chase High School is located in the heart of downtown Bethesda. With more than 2,000 students, B-CC High School reflects the racial, ethnic and socioeconomic diversity of Montgomery County. For the 2014-2015 school year, enrollment is 58 percent white, 17 percent Hispanic, 14 percent black, 6 percent Asian, 5 percent reporting two or more races, and 0.1 percent American Indian. Thirteen percent of its students qualified for the “free and reduced meals” program. B-CC students come from 66 countries and its English for Speakers of Other Languages (ESOL) program has 86 students representing 24 countries and 18 languages. B-CC High School provides education for the college-bound, those headed for the workplace, students for whom English is a second language, and students with disabilities. It offers extracurricular and co-curricular clubs and activities for myriad interests. 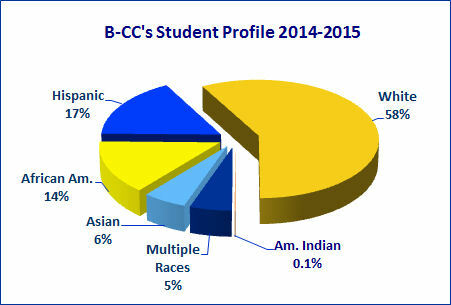 If public education is to survive, schools like B-CC that mirror the nation’s diversity must continue to flourish. * School enrollment numbers are for the school year ending in the year listed, except for 2015, where data are as of October 10, 2014. 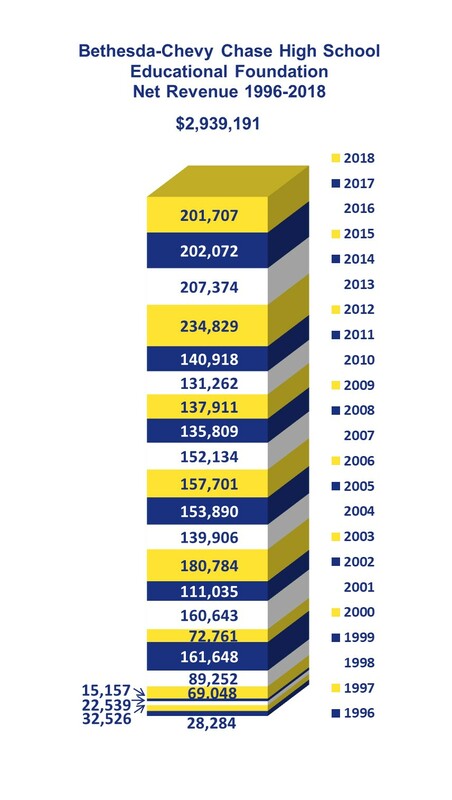 Since the Foundation’s start in 1995, B-CC’s enrollment has increased dramatically, an indication of the community’s confidence in the school. The total student population was 1,993 as of October 10, 2014, an 85% increase in 20 years. B-CC has a graduation rate of 96%; 78% of the Class of 2014 went to four-year colleges and 17% went to two-year colleges. In the 2014-15 school year, B-CC offers 58 AP/IB/Advanced Level courses. Over 94% of B-CC students are enrolled in Honors/AP/IB/College-level courses; among the seniors, 85% are enrolled in at least one AP or IB course. The senior class has 55 IB diploma and 160 IB certificate candidates, and the junior class has 95 diploma and 230 certificate candidates. B-CC’s IB program maintains an open admission policy, with a pass rate well above the international average. In May 2014, 1,214 B-CC students took 1,614 AP tests, with 1,239 tests scoring 3 or higher; 333 IB candidates took 700 IB tests, with 566 tests scoring 4 or higher; and 46 graduates in the Class of 2014 earned IB diplomas. B-CC’s IB diploma program was the first open-access IB program in Montgomery County Public Schools. B-CC was the first Montgomery County Public school to have a technology-based Language Lab for teaching foreign languages and for teaching English to students in the ESOL (English for Speakers of Other Languages) program. B-CC was the first Montgomery County school to have a Cyber Café which offers students access to computers before and after schools, and during lunch hours — an immense help to students who may not have access to computers or the needed software at home. B-CC was the first home of CollegeTracks which helps improve college access and success for students most at risk of not going to college — low income, first-generation-to-college, immigrant, and minority youth.